If the illegal trade of pangolins is not stopped, these mysterious animals will follow the same path as their brothers in Asia, to extinction. That is the dooming message by Professor Ray Jansen of the African Pangolin Working Group, who is desperately trying to combat the poaching of these animals, reports Middelburg Observer. Prof. Jansen travelled to Middelburg to testify for the aggravation of sentence for Senior Mabena, who pleaded guilty to dealing in a protected species without permission. He said his main aim in testifying in these types of court cases was to educate the judicial system. In Zimbabwe, a standard sentence of nine years imprisonment is handed to people caught in possession of pangolins. Shockingly, there have been incidents where South African courts let poachers go with a slap on the wrist, such a suspended sentence or a fine of as little as R100. Prof. Jansen is very happy with the six years imprisonment that Magistrate Hans Combrink sentenced Mabena to. Mabena and two others were caught at the Middelburg Mall after a tip-off by the public led to a sting operation. The pangolin in their possession was found alive. 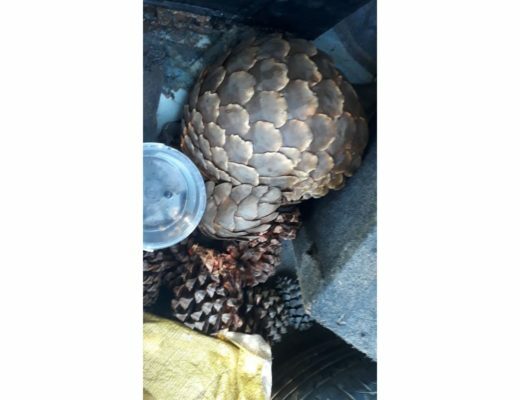 Two weeks before the Middelburg Mall pangolin rescue, two other pangolins were discovered in a boot of a car at the Shell Ultra City outside Middelburg. Unfortunately, it was too late to save their lives. Prof. Jansen said that once they were made aware of a poacher in possession of a pangolin, time is of the essence. 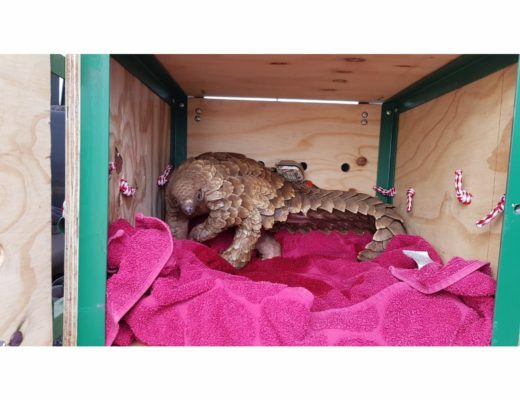 Pangolins will not live for more than two weeks after they have been captured. They cannot successfully be kept in captivity. 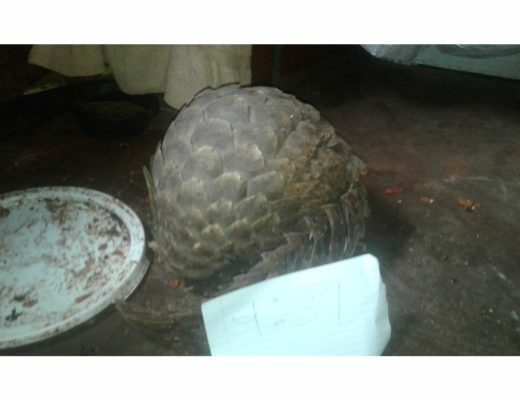 “I spoke to a poacher on the phone this morning who was selling a pangolin. He told me that he has had the animal for three months and I said to him that is an outright lie,” Prof. Jansen told the Middelburg Observer. He said that poachers tried to feed the animals things like rice and bread but pangolins have a very long tongue and don’t have a moving jaw. They only eat ants and termites, and won’t eat dead ants or food they don’t forage for themselves. They are also very specific about what types of ants or termites they eat and the species can often be traced to a specific area. To take a pangolin and simply release it anywhere in the wild will definitely cause its death. It is much like abducting a human from his home and dropping him off in another continent where a different language is spoken and they need to eat completely different food. Very little is known about pangolins. Their closest living relative is a cat, and they are the only mammal covered in scales. It is impossible to try and estimate their numbers because they are nocturnal, solitary, and silent. They only have one pup every one or two years. Although Asian pangolins showed some ability to adapt in captivity, like zoos, African pangolins have not. The longest an African pangolin could be kept alive in captivity for was six months at a zoo before it died of organ failure. The only way to protect these animals is to protect their territory. A pangolin’s territory ranges from five hectares in a tropical climate to 20 hectares in a dry climate. The males are very territorial and will often fight, almost to the death, if another pangolin intrudes on its area. Every time a pangolin is taken from the wild, it leaves a gap that impacts the whole ecosystem around it. Prof. Jansen says that the demand from Asian markets is overwhelming. Research among local communities, where interviews with almost 300 traditional healers and elders were conducted, showed that the local traditional medicine industry has very little impact on pangolins. The Asian market is a different story. 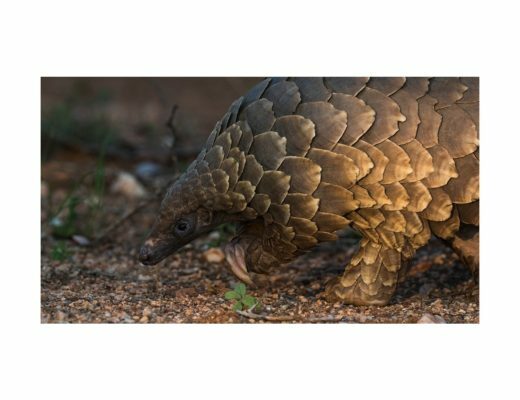 In 2017, 47 tonnes of pangolin scales leaving from Africa to Asia were intercepted, and 40 tonnes in 2018. That amounts to over a million pangolins that were poached. Poaching cases in South Africa have increased from 10 in 2016, to 15 in 2017, and then 43 cases in 2018. “The poaching for Asian markets is all about greed and money. 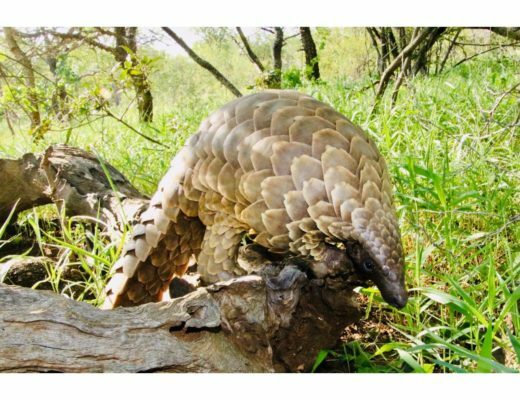 It is very similar to the rhino horn trade, except that pangolins are classified as more endangered than rhinos and are more difficult to protect,” says Prof. Jansen. The scarcer the product, the higher its value climbs on the black market. This, in turn, is very attractive for people from poor communities looking to make easy money. Prof. Jansen said the only way to combat pangolin poaching was by educating local communities to take ownership and act as custodians of these animals, to use the law as a deterrent by making sure offenders are given harsh sentences, and to take away the demand for pangolin products. The latter is the most challenging, because it stems out of Asian culture that is thousands of years old. Regardless of pangolins having no medicinal value whatsoever, it is convincing the Asian market of that fact which is the tricky part. “We must get the Asian youth on our side. They must be the change. Big names like Jackie Chan, who advocates against poaching, are a huge help, but it remains an uphill battle,” Prof. Jansen says. To successfully rehabilitate a pangolin costs around R50,000 per animal. It involves continued monitoring and often recapturing animals once their condition deteriorates. Pangolin poachers are often very brazen when advertising the animals for sale. If you hear about a pangolin being sold, you should immediately contact the African Pangolin Working Group. They can be contacted by visiting their website www.africanpangolin.org or by contacting Prof. Jansen directly on 082 555 1016. They have contact with all the relevant police units and will mobilise them as soon as information is received. 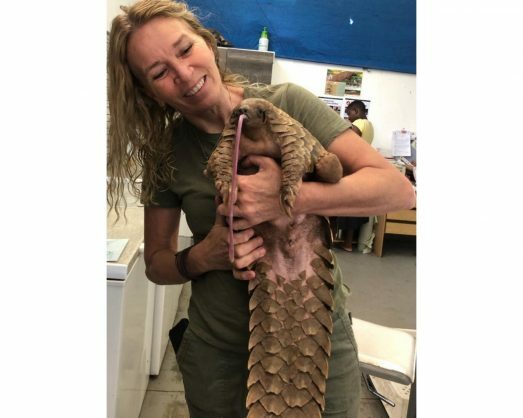 Prof. Jansen urged the public not to try and save the pangolins themselves, as every second counted and it was important for an expert to reach the animal as soon as possible. It’s also important for the police to gather evidence.